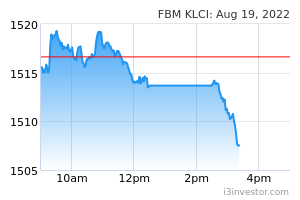 We maintain our BUY call on Top Glove with a lower FV of RM5.66/share, based on DCF (at a discount rate equivalent to WACC of 6.4% and a terminal growth rate of 2.5%). We have reduced our earnings forecast for FY19F, FY20F and FY21F by 10.7%, 8.2% and 7.7% respectively. At our FV, the implied FY20F P/E is 26.5x. 1HFY19 net profit was below our and street’s expectations, accounting for 43.2% and 41.7% of our and street’s full year earnings forecasts respectively. The variance against our forecast came largely from a lower than expected profit margins resulting from higher interest cost and stiff competition. 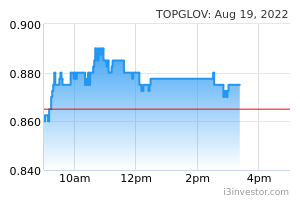 We continue to like Top Glove for its (1) expansionary plans; (2) focus and continual efforts in improving quality and operational efficiency; and (3) position as the largest rubber glove manufacturer. 1HFY19 topline grew 27.7% YoY as sales volume grew 18% while ASP improved by 8%. The demand came mainly from developed markets like Western Europe and North America as well as developing markets such as Africa. Top Glove’s EBITDA grew 28.3% YoY to RM400.2mil while its EBITDA margin remained stable and grew marginally by 0.1ppt to 16.5% in tandem with its topline growth. Compared with 1HFY18, the average natural rubber (NR) latex and nitrile latex prices movements were mixed. NR latex dropped by 21.3% to RM3.70/kg from RM4.70/kg while nitrile latex price increased 13.0% to US$1.17/kg from US$1.04/kg. On the other hand, PBT margin dropped 2.0ppt to 11.0% in 1HFY19 due to higher interest cost from the funding for M&As and its organic expansion. The bottom line was further dragged by a higher effective tax rate of 18.3% (vs. 12.4% in 1HFY18) due to a reduction in tax allowance, following the expiry of the 3 years’ special reinvestment allowance in 2018 and the provision of deferred tax liabilities in the current quarter. As a result, core net profit only grew by 0.4% YoY (-21.5% QoQ) to RM210.1mil in 1HFY19 (vs. RM209.2mil in 1HFY18). Moving forward, we believe the pressure on margins in CY19F will continue as there was an influx in of glove supply of the top rubber glove producers (Top Glove, Kossan, Hartalega) as well as from Thailand-based Sri Trang with plans to increase latex glove supply to 30 bil (from circa 17bil currently) pieces by 2022. As this exceeds the organic demand growth expectation of 8- 10%, we believe ASP will be weighed down. It will take about six to 12 months for demand-supply to reach an equilibrium.